Enter company names, set the date, and CSRHub Dashboard completes the work for you. See the full template sample PDF. See Reporting Systems, Organizations and Awards, Policy Indicators and Carbon Reported Facts for multiple companies. 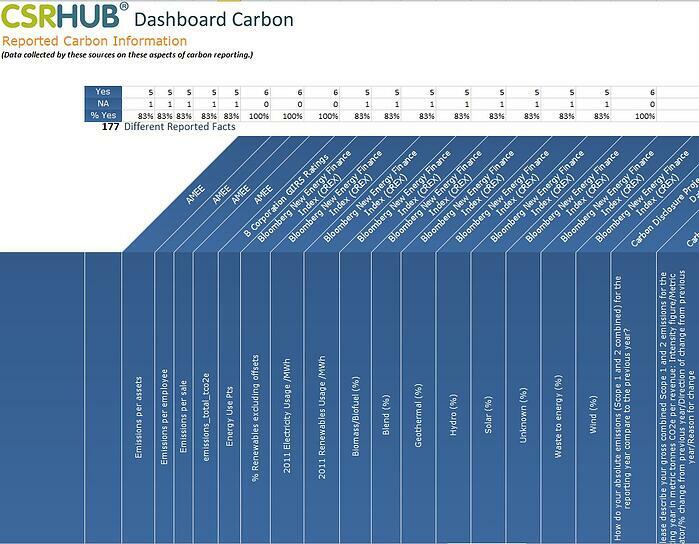 Subscribe for access to the CSRHub Dashboard and full site benefits.